An off-air comment caught on mike after an HBO interview with real-estate scion Robert Durst has led to his arrest on a capital murder charge. "What the hell did I do? Killed them all, of course," Durst said to himself in the bathroom after the interview, apparently not realizing he was still miked. 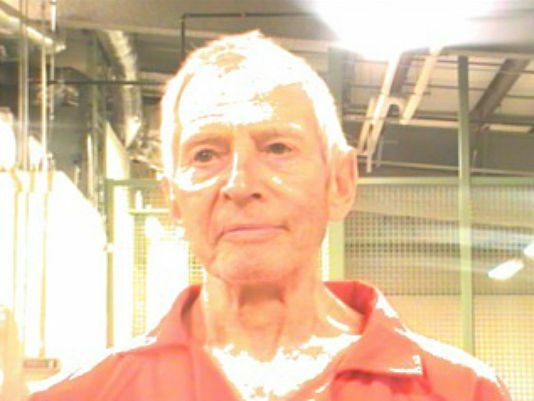 Durst, 71, was arrested Saturday (March 14) on the murder charge at a New Orleans hotel he had checked into under a false name, news outlets reported. Durst paid for the room with cash and carried fake documents, FBI sources told ABC News. The FBI believes Durst may have been headed for Cuba. New Orleans was the departure point Saturday for the city's first direct flight to Cuba since 1958, NOLA.com reported. New York real-estate scion Robert Durst has been charged with first-degree murder in the 2000 slaying of longtime friend Susan Berman. He was arrested Saturday (March 14). Durst's family's business, the Durst Organization, owns more than 15 skyscrapers, including the Bank of America Tower in the heart of Manhattan, and has a large investment in One World Trade Center, the tallest building in the U.S. and the replacement for the Twin Towers, USA Today notes. The Durst Organization is headed by Robert Durst's brother Douglas; Robert is not currently involved in the business, the news outlet said. Durst's arrest came the night before the final episode of The Jinx: The Life and Deaths of Robert Durst, a six-part HBO documentary that included extensive voluntary interviews with Durst. The 2001 murder and dismemberment of Morris Black, a neighbor in Galveston, TX. 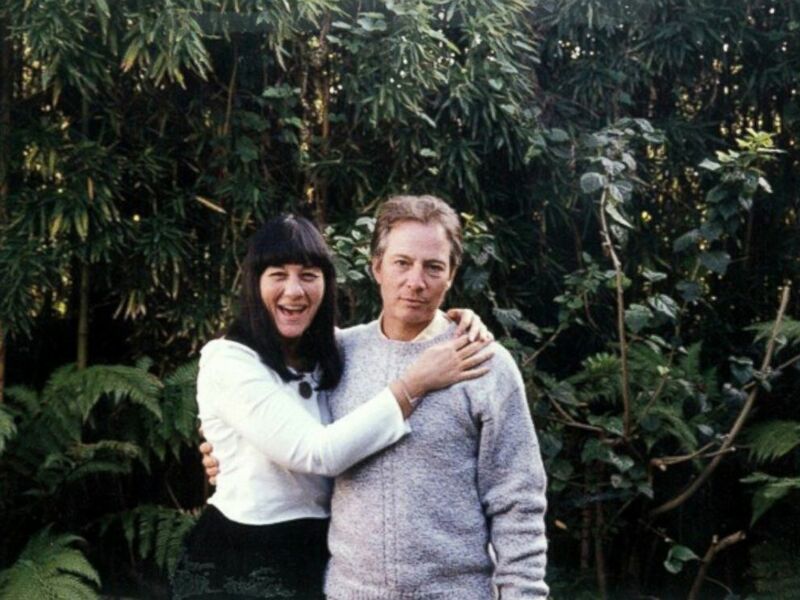 Susan Berman and Robert Durst were longtime friends. He is charged with her killing. Durst was tried in 2003 for Black's murder, but was acquitted, saying the killing was in self-defense. No arrests were ever made in the death of Berman, who was shot in the back of the head on Christmas Eve. Authorities found no signs of a struggle. Durst has denied involvement in Berman's and his wife's deaths. The long-cold Berman case has been reopened in recent years with the discovery of an anonymous letter sent to Berman before she died, reported CBS News, whose 48 Hours program has been following the case for more than a decade. According to CBS, the Los Angeles Police Department also received an anonymous letter after Berman's murder, alerting them to it. "And it's just addressed 'Beverly Hills Police Department' with her address, and the word 'cadaver,'" LAPD detective Paul Coulter told CBS. 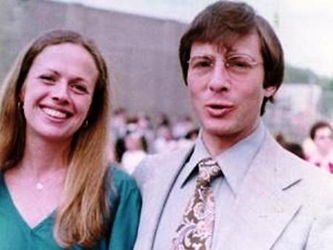 Kathie McCormack and Robert Durst met in 1970 and later married. 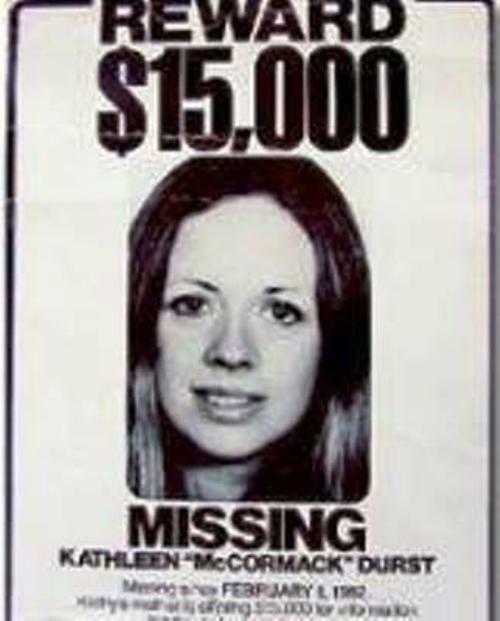 She disappeared in 1982, just before graduating from medical school, and was later declared dead. Her disappearance has never been solved. Separately (it is not clear when), Berman's stepson discovered the letter to Berman from months before her murder. "The similarities between the two were striking: The address was written exactly like that of the cadaver note, down to the misspelling of 'Beverly,'" CBS reported. When The Jinx's producers obtained the letter to Berman, they shared it with Los Angeles investigators and began speaking with them in 2013, The New York Times reported. Those letters, along with other handwriting samples analyzed by a foresnsic document examiner, became the focus of the final installment of The Jinx. After Durst is questioned about the letters and denies knowledge of them, the HBO crew packs up its equipment while Durst goes to the bathroom, still wearing his mike. In the bathroom, Durst talks to himself, saying, "There it is. You're caught! What the hell did I do? Killed them all, of course." The documentary makers say they did not find the audio more than two years later. By the time the episode aired Sunday, with the recorded comments, Durst was in custody, being held without bond. 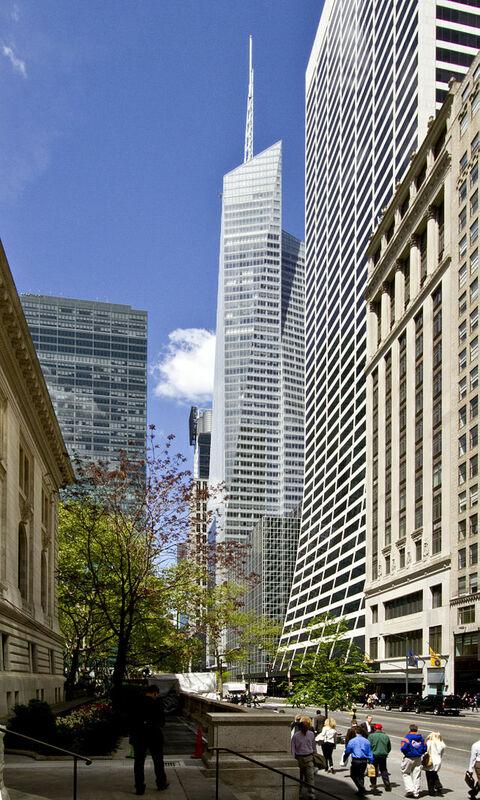 The Durst Organization, headed by Robert's estranged brother Douglas Durst, owns15-plus New York City skyscrapers, including the Bank of America Tower in Manhattan. His lawyers maintain his innocence. News reports suggest that Durst's attorneys may call the comments a joke. Other reports say that prosecutors may seek the death penalty for the killing. Beyond the murder cases, Durst has long drawn public attention for a variety of other incidents over the years. The episodes include publicly urinating on a candy rack in a drugstore, dressing as a mute woman, shoplifting a sandwich while his car trunk held tens of thousands of dollars in cash, suing his estranged family for $65 million, and trespassing. The real-estate heir agreed Monday (March 16) to be extradited to Los Angeles to face the murder charge. 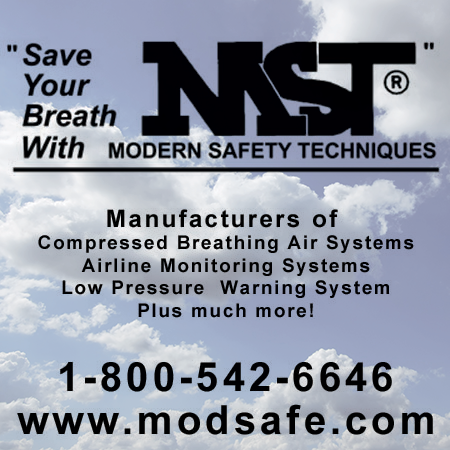 The Durst Organization issued a statement Sunday in Douglas Durst's name, the Wall Street Journal reported.